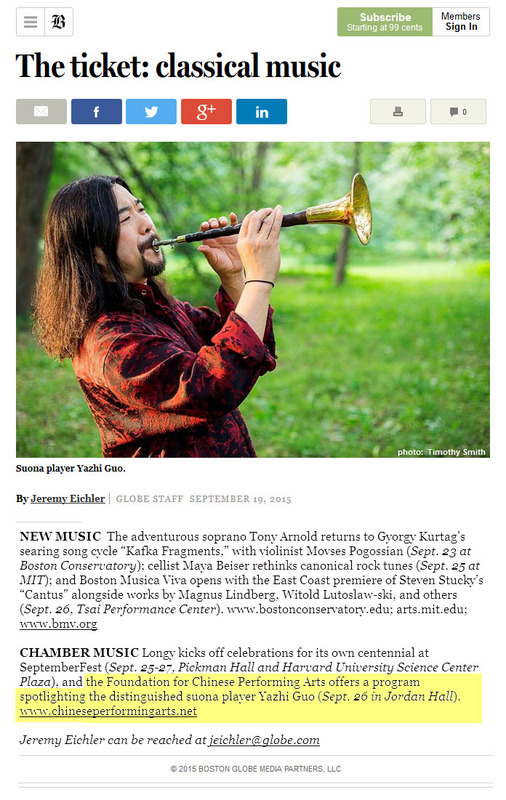 Yazhi Guo, received his Artistic Diploma from Berklee College of Music 2015, is widely known as "THE" best Suona player in Asia. 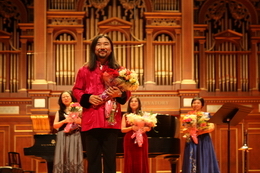 He graduated from Beijing Central Conservatory of Music, and was invited to stay on as an instructor for the next nine years. The "Flexible Core" invented by him in 1993 was a great contribution to Suona history. It solved the problem in Suona’s playing of complicated modulations and temporary inflexions. It allows Suona, a folk instrument, to play in large modern orchestras, and greatly broadening the expressive force of this instrument. 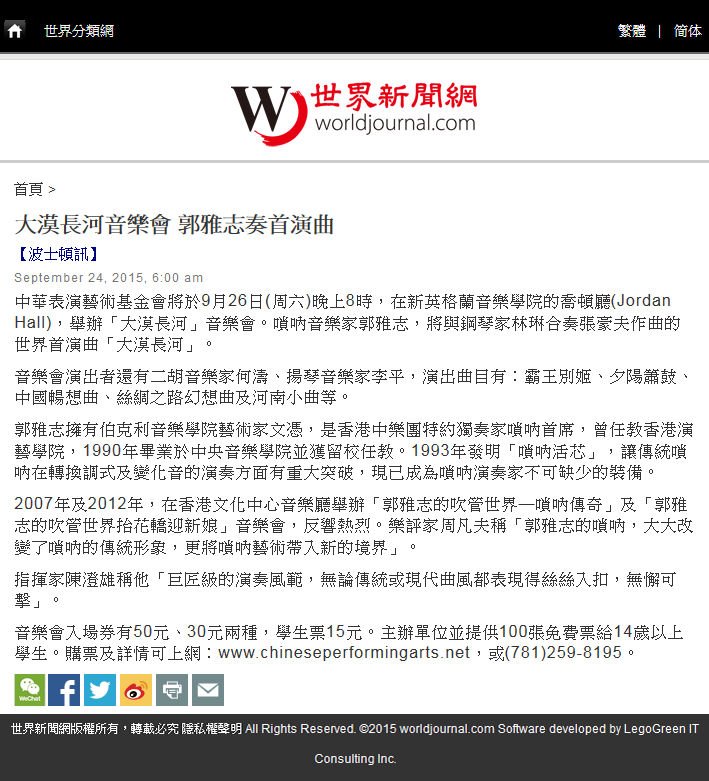 In 1998, he performed at the State Banquet welcoming President Clinton’s visit to China. 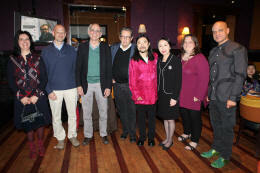 Started in 1999, he served as the principal suona of the Hong Kong Chinese Orchestra and became the figured soloist. 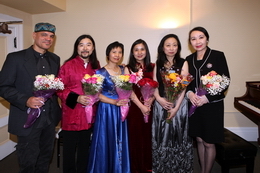 In April 2007, Hong Kong Chinese Orchestra presented him in a large scaled sold-out concert titled "Guo Yazhi’s Wind Music World-Legend of Suona" at Hong Kong Cultural Center Concert Hall. 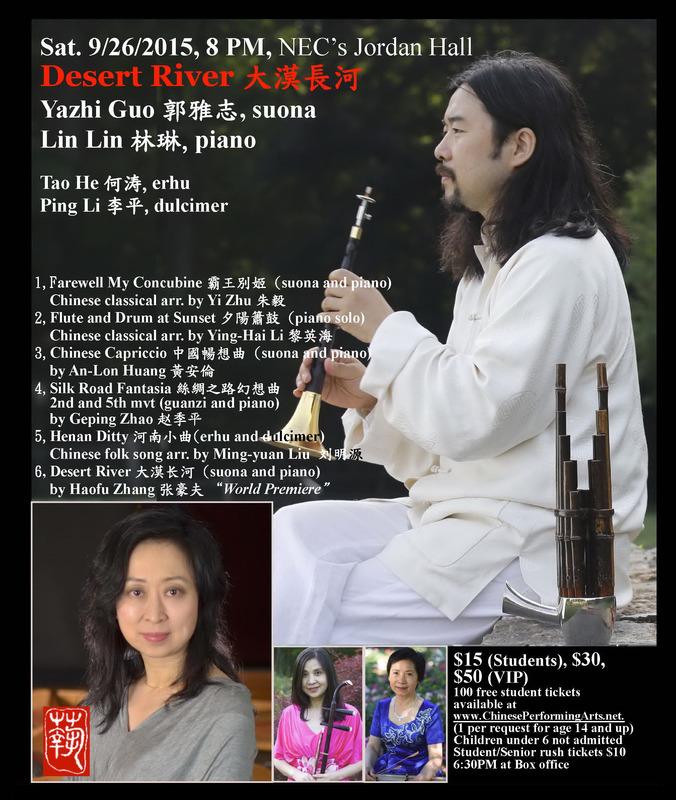 In July 2012, the Orchestra presented him in another concert titled "Guo Yazhi’s Wind Music World 2-Raising the Bridal Sedan and Welcoming the Bride" . His talent and deep expression was enthusiastically received with critical acclaim. Yazhi has appeared many times on CCTV. His performances changed people’s attitude towards the "folk" instrument Suona. He is a versatile and charismatic player. Apart from the Suona, he can also play saxophone, clarinet, piccolo, flute, pipe, sheng, ocarina, cucurbit flute, and even ‘leaf’. 美國伯克利音樂學院藝術家文憑。香港中樂團特約獨奏家嗩吶首席, 曾任教於香港演藝學院。1990年畢業於中央音樂學院並獲留校任教。1993年發明"嗩吶活芯", 令傳統嗩吶在轉換調式及變化音的演奏上有了重大突破。已成為嗩吶演奏家不可缺少的裝備。2007年及2012年, 在香港文化中心音樂廳舉辦《郭雅志的吹管世界－嗩吶傳奇》及《郭雅志的吹管世界抬花轎迎新娘》音樂會, 反響熱烈。著名樂評周凡夫稱他"郭雅志的嗩吶, 大大改變了嗩吶的傳統形象, 更將嗩吶藝術帶入了新的境界"。指揮家陳澄雄稱他"巨匠級的演奏風範, 無論傳統或現代曲風都表現得絲絲入扣, 無懈可擊!" 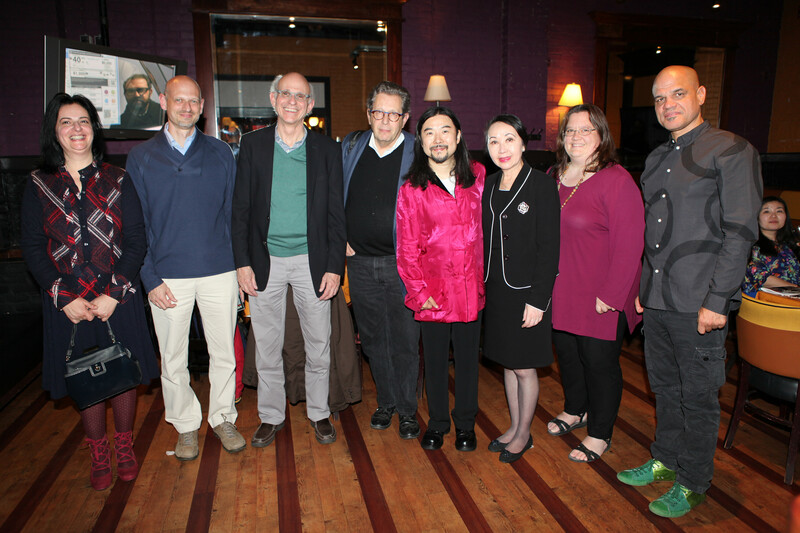 Ms. Lin from China received her Bachelor, Master, and Doctor of Music degrees in piano performance from the University of Cincinnati Conservatory of Music (CCM) under Eugene and Elizabeth Pridonoff. 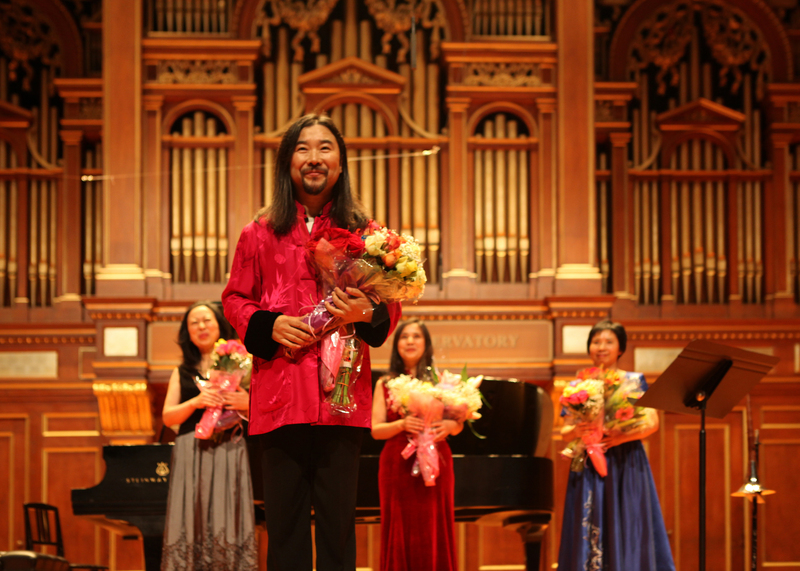 An accomplished soloist, chamber musician and piano accompanist, Lin has won prizes in many competitions including the Concerto Competitions of CCM. She appeared with many orchestras, including the Wellesley, Midland-Odessa, Northern Kentucky, Philharmonia Symphony Orchestra of Cincinnati, among others. She has served on the faculty of Wright State University, Musical Arts Center of Cincinnati, the Preparatory Department of CCM and M. Steinert & Sons. She has also served on the jury of piano competitions, such as the Steinway Society of Massachusetts, the Dandelion Auditions for Outstanding Youth in Beijing, China. Graduated with honor from the Central Conservatory of Music Beijing, Ms. 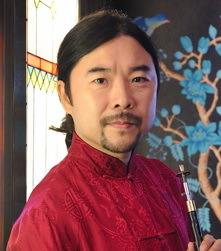 He was an erhu and gaohu player at the China Broadcast National Orchestra. She was invited to Singapore by Expect Music Record Company in 1999 and later joined the Hong Kong Chinese Orchestra. She moved to Boston with her husband Mr. Yazhi Guo and their two daughters in 2012. 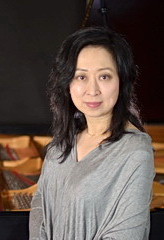 Ms. Ping Li was the principal dulcimer player and first soloist of the China Central Orchestra for Traditional Music. She dazzled audiences with her performances for over thirty years in more than twenty countries worldwide including the United States and major European and Asian cities. 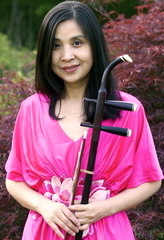 She was the winner of many international dulcimer competitions including the Second Prize of the China National Traditional Music Competition in 1989, the Gold Prize in the 13th World Professional Youth Symposium in Pyongyang, North Korea in 1988, and the Japanese Chamber Music Competition Gold Medal at Osaka, Japan. 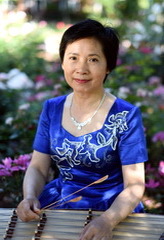 Ms. Li has composed, published, performed and recorded master works not only on the dulcimer, but also on the GuZheng. Ms. Li is the Founder and President of the Boston Art School for Chinese Music. Children under 6 not admitted.